The manager oversees and leads the organization, and reports to the steering committee. The manager also has to organize the scientific animation within the community with the aim of sharing experiences and skills from all the users. Seminars, scientific workshops and conferences will be organized to that purpose. He is appointed for a period of two years by the steering committee. The aim of the steering committee is to ensure scientific, technical and financial decisions for the platform. It also has a prospective responsibility. It has to define the use policy, validate various suggestions from the user and technical committees. It convenes when needed, it may mandate a representation committee who will be authorized to make technical decisions. It is composed of executives partners, the manager and a member of the technical and user committees. Its objective is to help the manager to prepare the decisions for a good functioning of the platform. It is composed of a representative of every partner and the scientific person in charge. The Technical committee is in charge of the technical aspects of the platform. 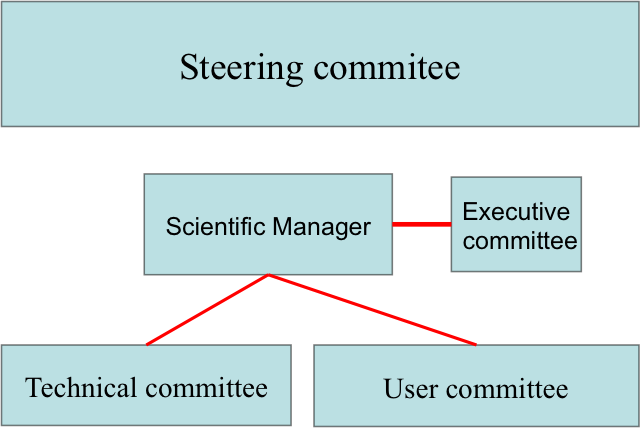 It suggests technical evolutions and supervises implementation of the steering committee decisions. It convenes at least once every two months. It is composed of two representatives per partner who are IT engineers or HPC developers involved in the platform, as well as a member of the user committee and the manager. The committee appoints its representative for two years, the representative will participate in the steering committee.